We recently visited Woodbury Common in east Devon, a huge area of common land that comprises much heathland and is part of the Pebblebed Heaths Site of Special Scientific Interest (SSSI), as well as a designated Area of Outstanding Natural Beauty (AONB). To the south, it is bordered by the seaside towns of Exmouth and Budleigh Salterton. 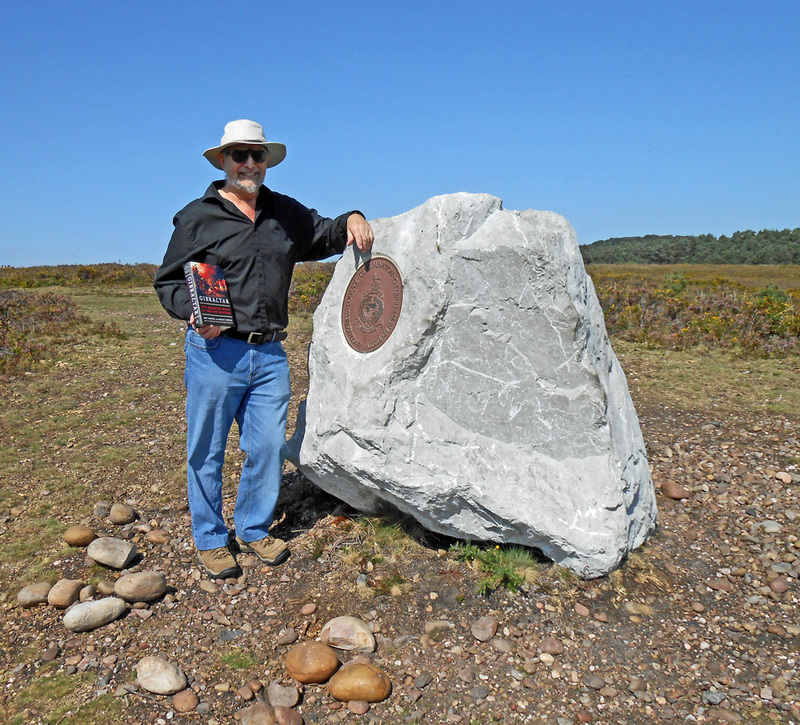 We will be giving a talk on ‘Gibraltar: The Greatest Siege in British History’ at the Budleigh Salterton Literary Festival, so we thought that it was a real coincidence to discover a Gibraltar Stone on Woodbury Common. Woodbury Common contains a training ground of the Royal Marines whose Commando Training Centre is at nearby Lympstone. The Gibraltar Stone is a real piece of limestone rock from Gibraltar that was donated by the people of Gibraltar in 2014 to mark the 350th anniversary of the formation of the Duke of York and Albany’s Maritime Regiment of Foot in 1664 (the start of the marines) and the 310th anniversary of the capture of Gibraltar by British and Dutch marines in 1704. 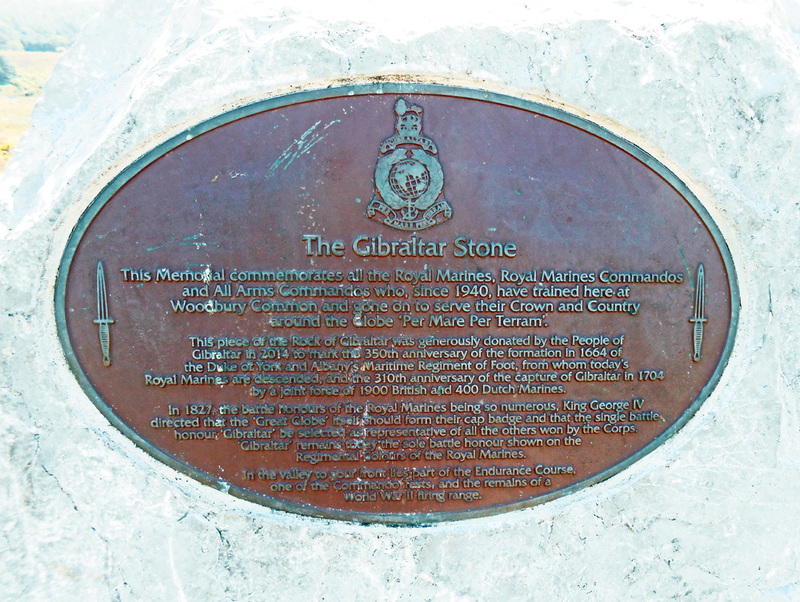 The Gibraltar Stone was set up with a commemorative plaque on one side and the badge of the Royal Marines on the other side. Their badge has GIBRALTAR as the key battle honour. An old saying is ‘he is not a Marine who has not been to Gibraltar’. There is a Royal Marines Museum at Eastney, Portsmouth, though it is currently closed. 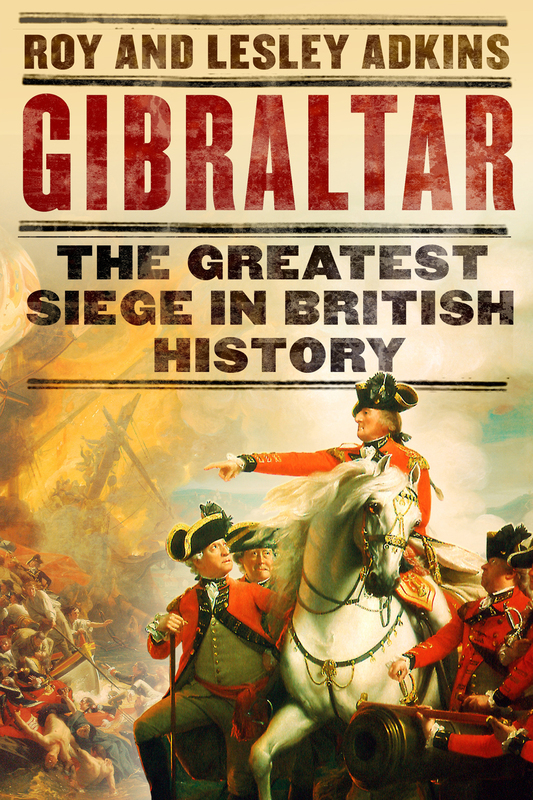 For further details about the Great Siege, see our book Gibraltar: The Greatest Siege in British History. See also our Events page for our forthcoming talks on the Great Siege. The Budleigh Salterton talk takes place on 19th September 2018 and is sold out. This entry was posted on September 3, 2018 by adkins.